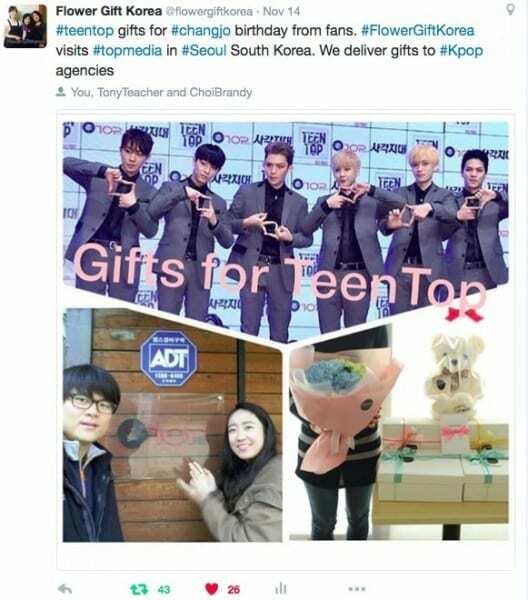 Flower Gift Korea had the pleasure of preparing gifts to be delivered to the Kpop group Teen Top for Changjo’s 22nd birthday. 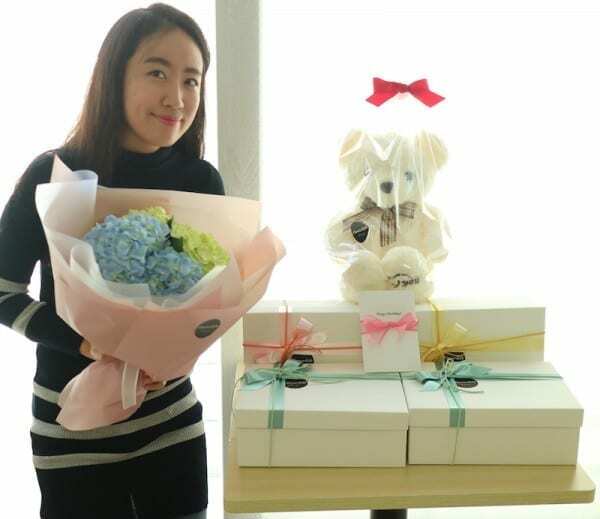 We had the honor of delivering flowers, gift boxes, and a teddy bear to TOP Media in Seoul South Korea. It was a lot of fun preparing the snack gift boxes ordered for Changjo and the rest of the Teen Top members in South Korea. The group of Teen Top fans ordered a mixed hydrangea flower bouquet, a large teddy bear, 3 snack boxes, and 1 beer box for Teen Top member, Chanjo’s 22nd birthday party. Inside the beautifully wrapped white boxes are delicious snacks for the Teen Top members in Seoul South Korea to enjoy. You can also see that there is a personal card with a message from the group of fans. The fans wished Changjo a happy birthday, wrote an encouraging message, and wrote their names and countries. 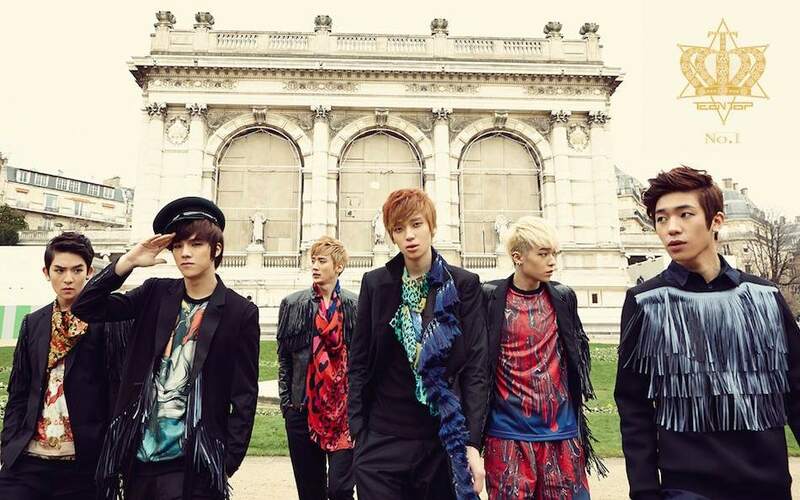 If you want to send a group order to Teen Top, we can help you. 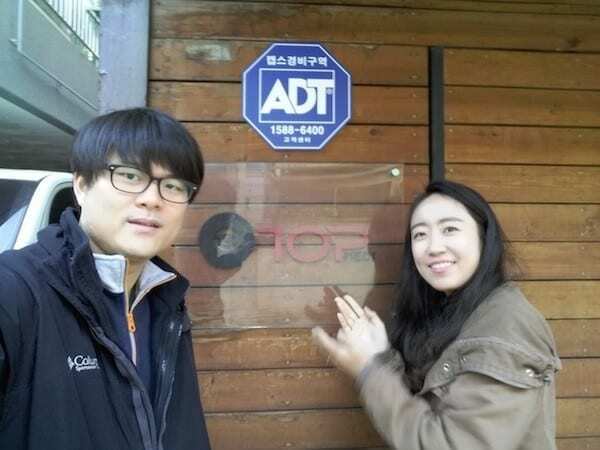 The people at TOP media are very friendly and accept gifts for their celebrities from Flower Gift Korea. The best part of delivering the gifts to TOP media for Changjo’s 22nd birthday was seeing how many fans were happy to have seen the delivery made. We just twitted that we sent some gifts to Changjo at Top Media and we had more than 40 retweets and more than 20 likes! We don’t have that many friends on twitter, but it was cool to see that other fans were just happy to see that Changjo from Teen Top received some gifts from other fans. If you are interested in sending some gifts to members of Teen Top in Seoul South Korea, Flower Gift Korea can help you send almost any gift. We will also provide a free card where you can write down exactly what you want to say to any member of Teen Top. Contact us for more information!